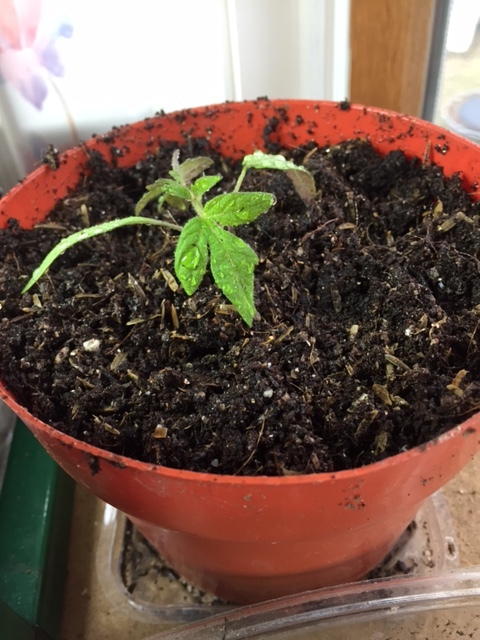 Posted by wystansimons in Could trauma strengthen seedlings? 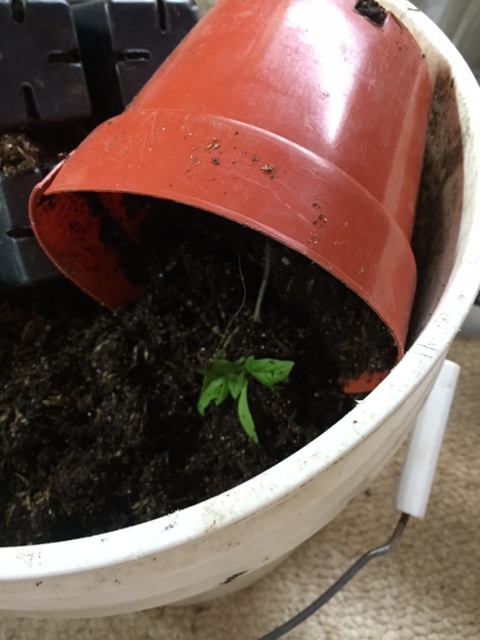 This is the second time for this poor seedling, which has had the misfortune to be transplanted into a very nice red pot. I wish I could know if the trauma it’s endured will make it stronger, in the way that our human bodies develop scar tissue where they heal. I listened to a radio program on NPR (this winter I think) about the results of testing organic produce to see whether it had more health benefits than commercially grown produce. 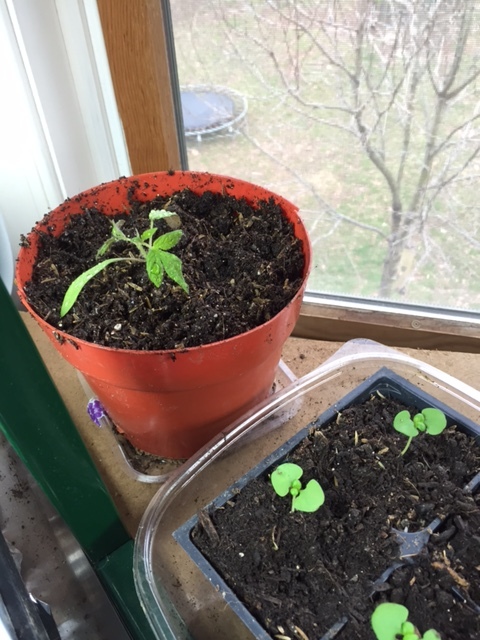 The testing found that organic treatment did not increase the vitamin and mineral content of a plant. The reporter went on to say that what the organic plant did offer was a greater number of antioxidants, those cancer fighting compounds that everyone in health food talks about. Apparently plants raised without sprays to kill pests and fungi for them, have to fight harder to protect themselves. They have to build up defenses to do that, and when we eat the plant we consume these “defenses”ourselves, strengthening ourselves (it is theorized) against what attacks us. To read more about my special needs son and his obsessions, check out embracingchaos.net.